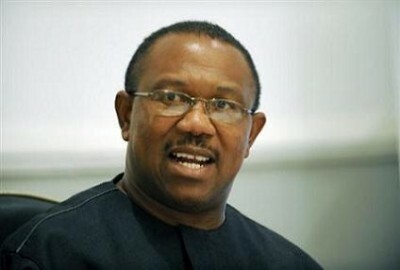 A former Governor of Anambra State, Mr. Peter Obi, said on Wednesday he did not demand for N7billion from his successor, Willie Obiano. The ex-governor said he left about $156million in bank, N25billion cash and N25billion in local investment for his successor. Obi said he has never supported any candidate for personal benefits. He also denied nursing ambition to be the vice presidential candidate of the Peoples Democratic Party (PDP) in 2019. He said: “Let me ask a question, you all are educated and it is on record in this country and documented, I can prove it with every clear documented evidence that when I left office , I left over N25billion in local investment for Anambra State. I left over N25 billion in cash in the bank. I also left $156 million in the bank in Nigeria. Do you think anyone can leave such money and go to beg the person he is handing over to give him N7 billion when I left over N75 billion? “So, it is sheer blackmail, I have never and I am a Christian. I am not supposed to swear but I can put my hand in any form of oath to say I have never discussed with anybody to be paid any amount. Let Obiano himself come, let us go before hierarchy of our church or anything to swear. I have never done that and I will never do it. “If anything, going into politics made me poorer but I won’t question anything because that is where God wants me to be.